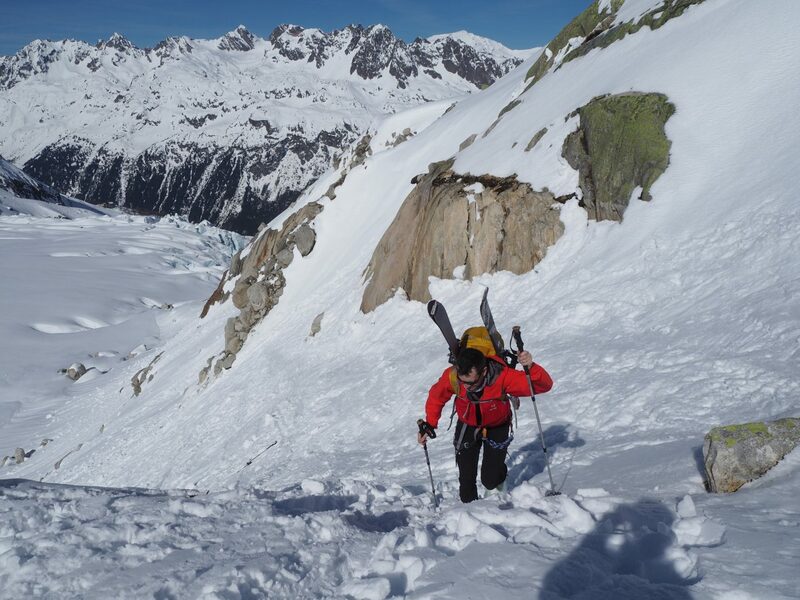 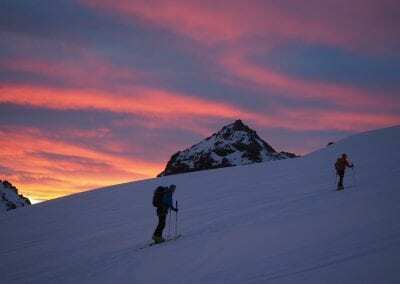 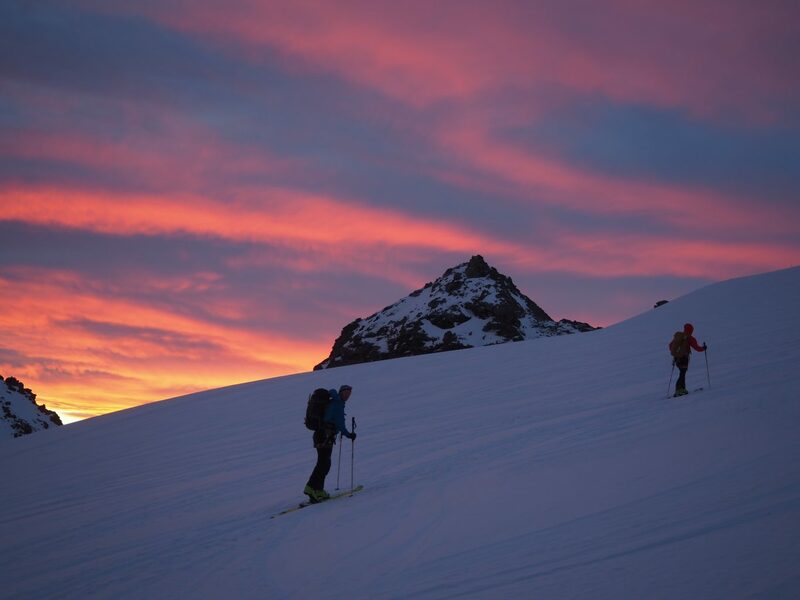 The most famous ski traverse in the world, completed in a blistering three days. 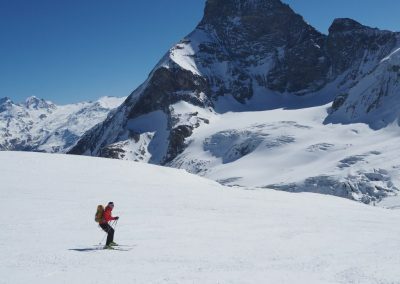 A very high level of fitness and experience is required. The timings are very tight, and any “faff” with kit or otherwise just wouldn't work. 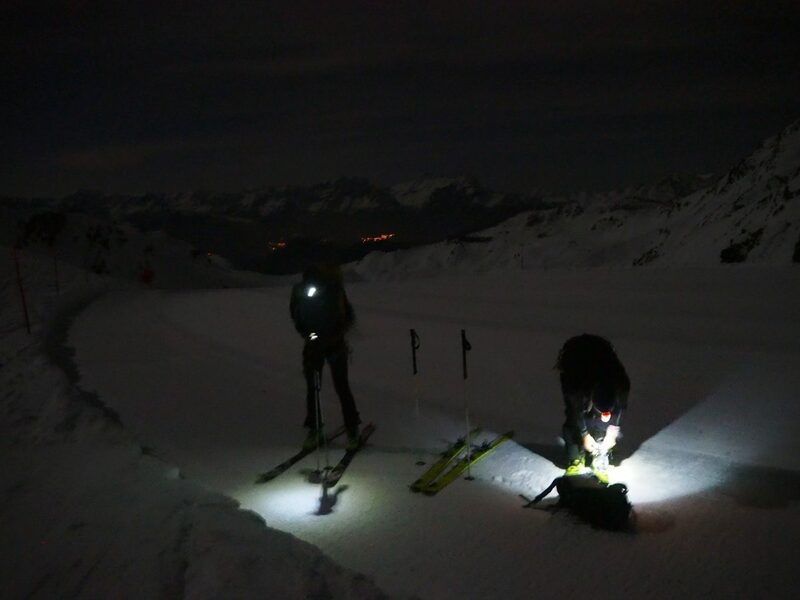 Most days involve 8 – 9 hours of skiing, often starting in the dark with head torches. 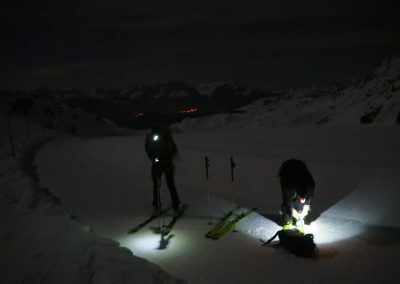 The time pressures come from the snow heating in the afternoon, so teams must be prompt and stick to schedule. 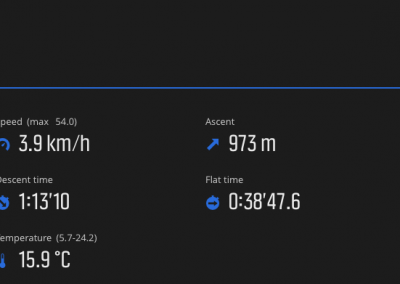 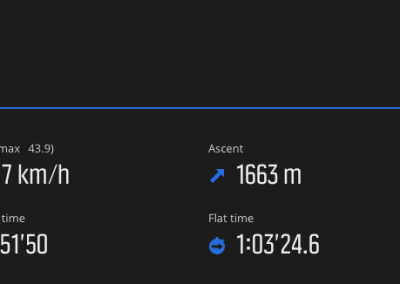 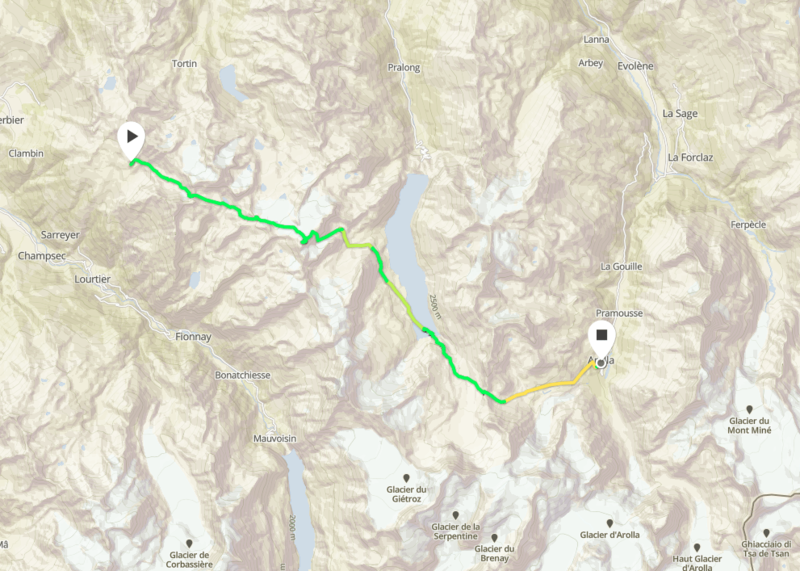 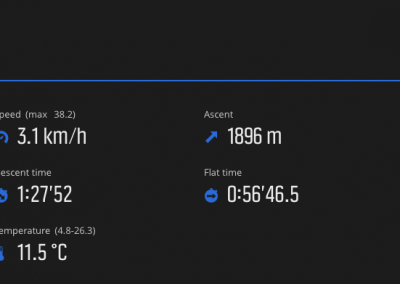 There are some advantages to starting early though, as we are out of sync with all the other teams on the Haute Route, and we aim to arrive in Verbier and Arolla mid afternoon, giving us plenty of time for resting, eating and snoozing! 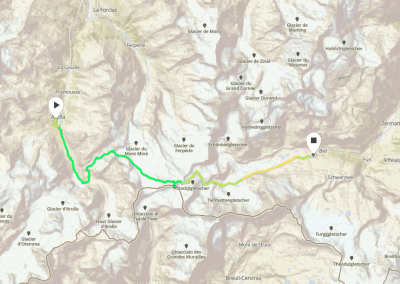 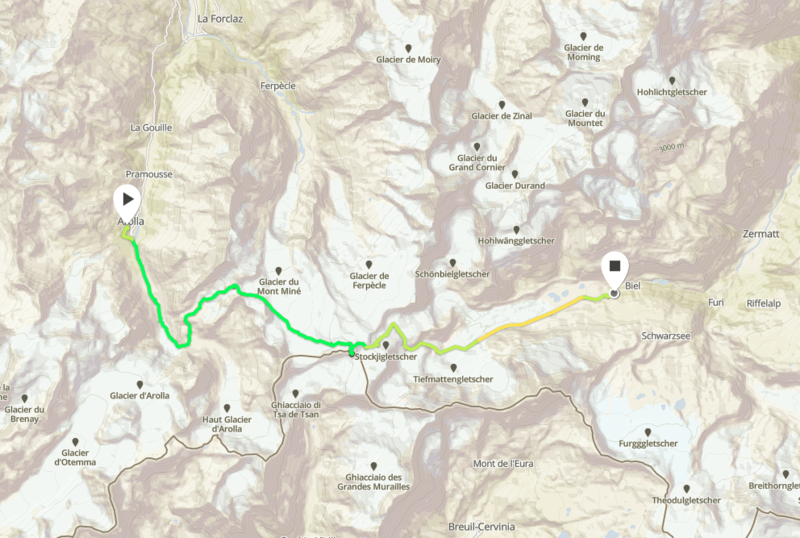 Although the trip is scheduled to take three days, our normal bookings are five days long, which gives us a warm up/shake down day in Chamonix, plus a contingency day at the end. 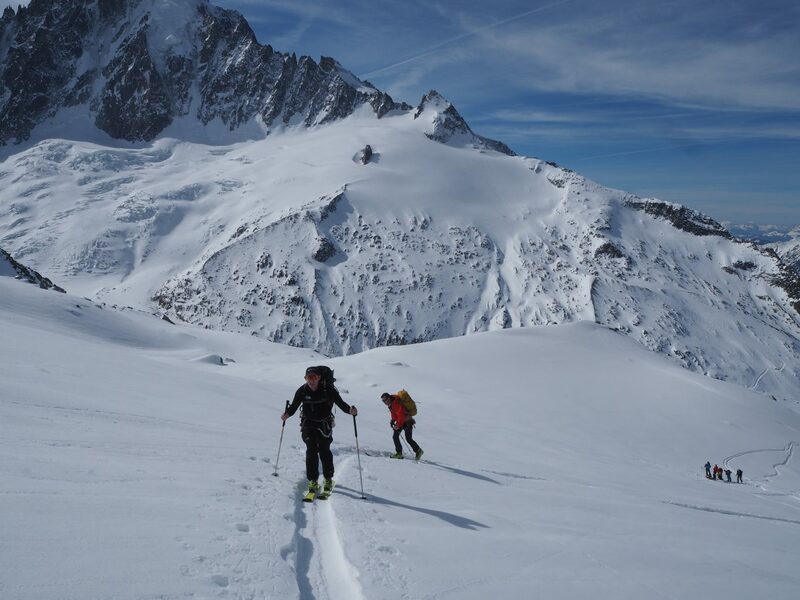 Lightweight ski touring equipment is essential, as is well fitting boots. 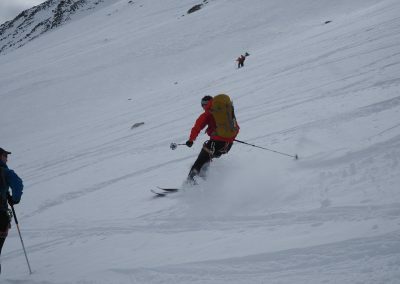 We travel light, so a stable forecast is required. 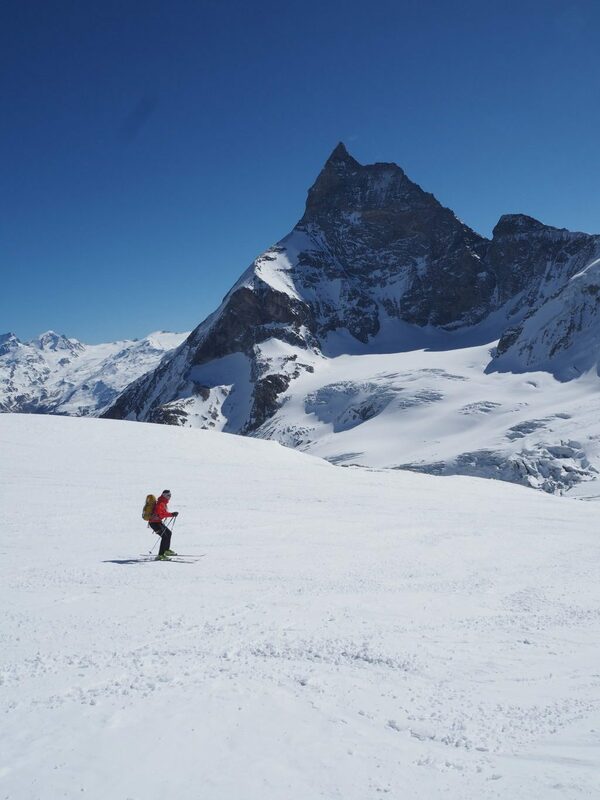 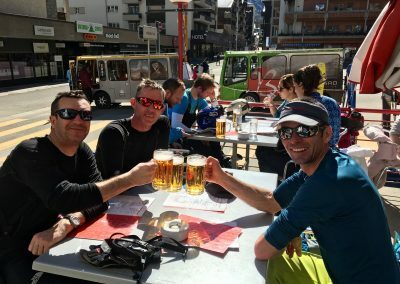 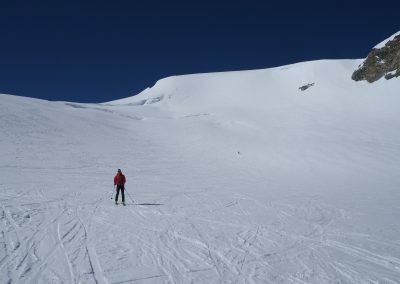 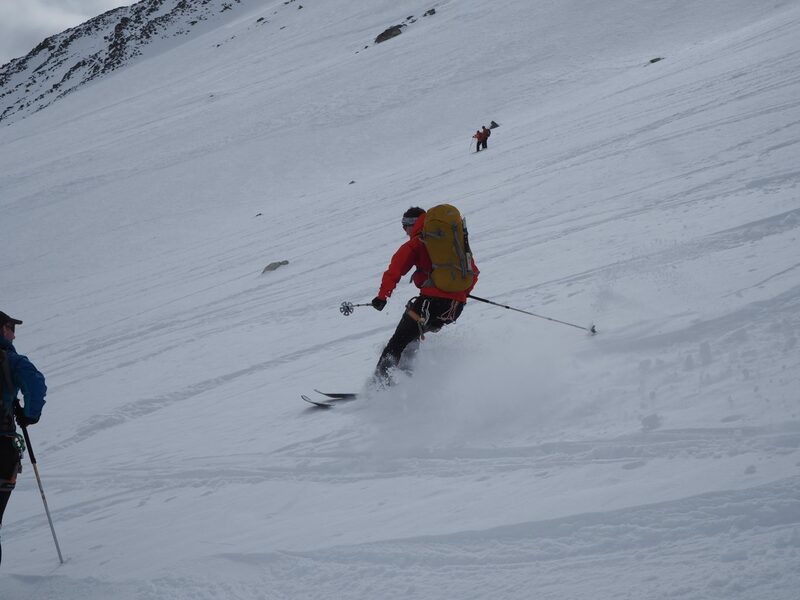 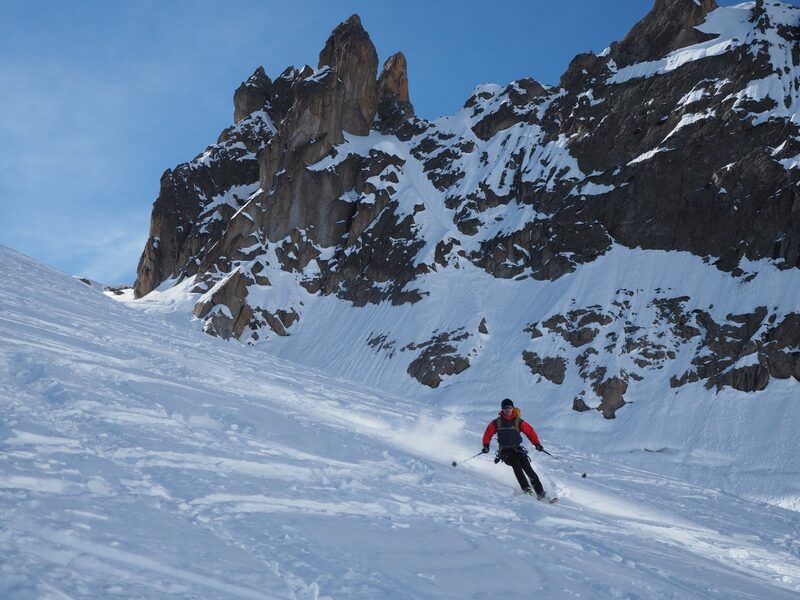 We have had good success with two previous Express Haute Routes, both with experienced teams who have previously completed some "Speed Ski Tours" with us. 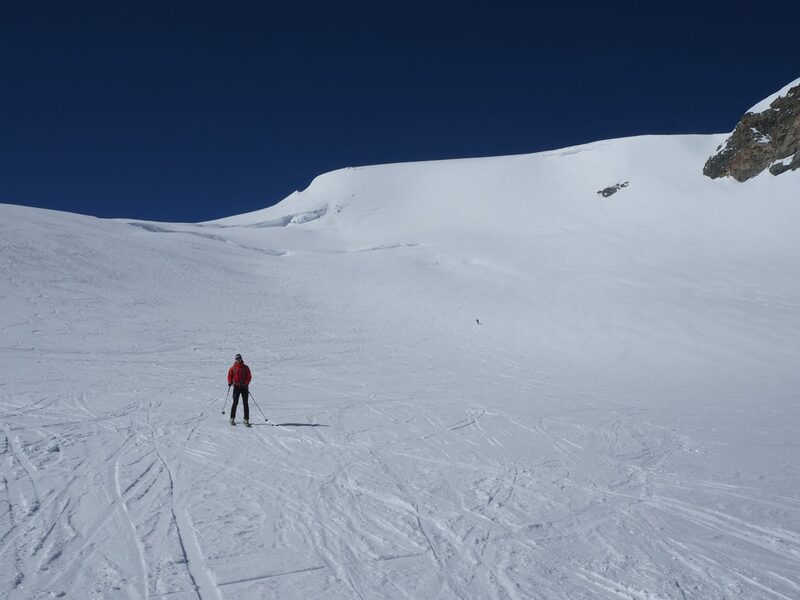 Please do get in touch to discuss the level of skiing and fitness required if you are interested in an attempt.